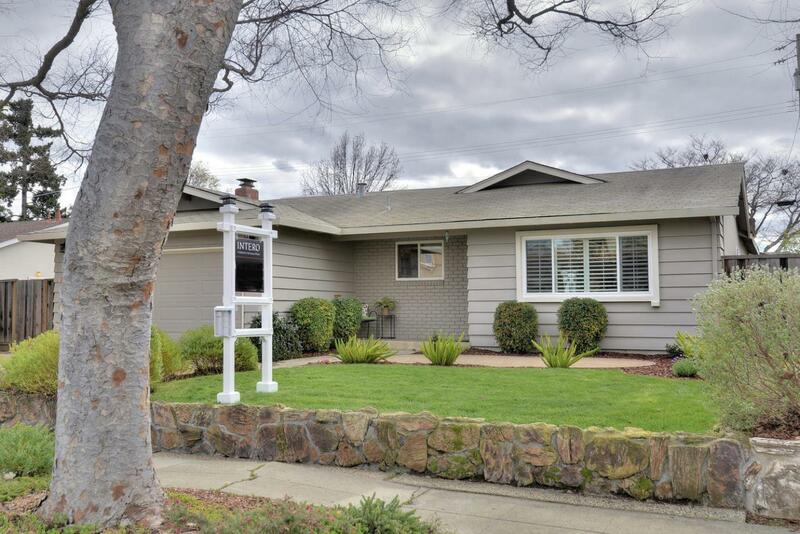 Remodeled 4 bedroom home with Moreland schools close to downtown Campbell! Remod. kitchen: quartz counters, tile backsplash with inlays, maple cabs., gas stove/oven, hood vent, stainless double sink, recessed lighting. New paint inside and out, new carpets in all beds, central a/c, copper plumbing, new auto garage door, dual paned windows throughout. Family room has skylight, wood burning fireplace and slider leading to backyard. Remod. master bath with tiled shower enclosure, recessed shelf, glass doors, tile flooring. Large backyard with lush green lawn, established greenery and cement patio.